What's the opposite of a feature spotlight? 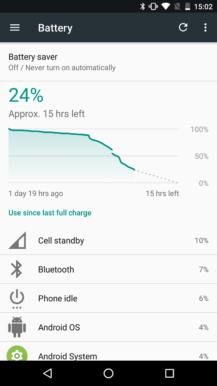 I think we should call this an "Android O feature regression" post, because that's what we're looking at here. 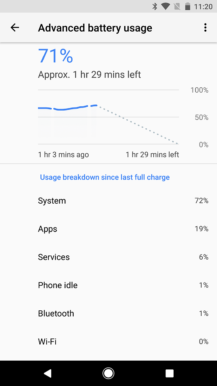 If you've installed the first Android O dev preview and you've been monitoring battery usage to see if all that fuss about the improved battery management and new background limits is true, then you may have noticed one thing missing: you can't see granular usage anymore for system-level items. 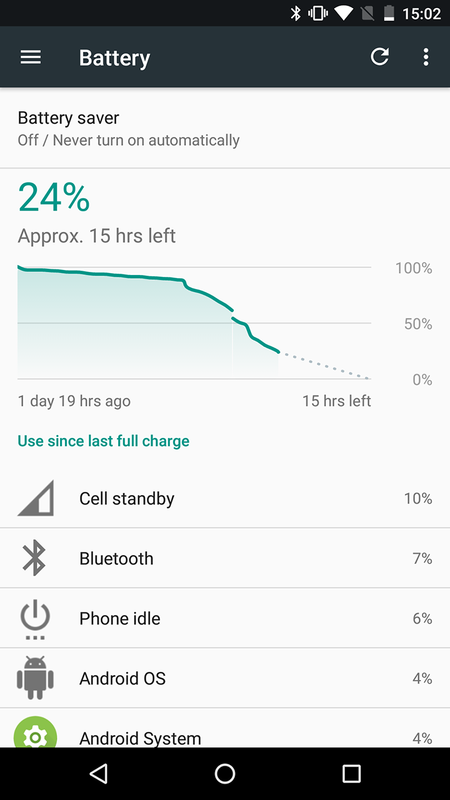 Previously, on Nougat, when you went to Settings>Battery, you could tap on any item in the list below the graph to see its usage details since the last full charge. 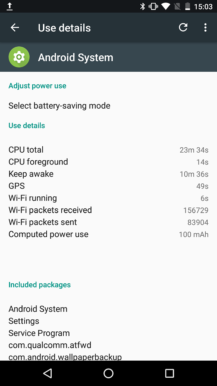 That lets you check the total CPU usage time, how long this particular item has kept the device awake, and what connectivity options it has used and for how long. 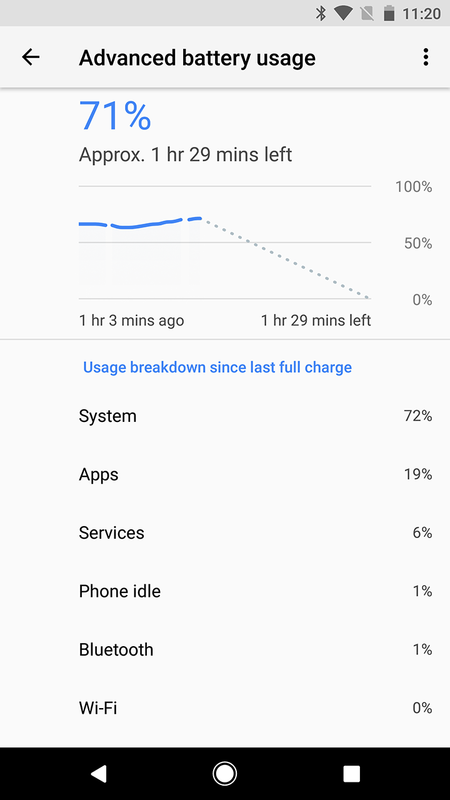 Now, on Android O, tapping any item that is a system-level service like System, Apps, Services, Phone idle, Bluetooth, and Wi-Fi doesn't do anything. It looks like you can't access the details screen for them anymore. 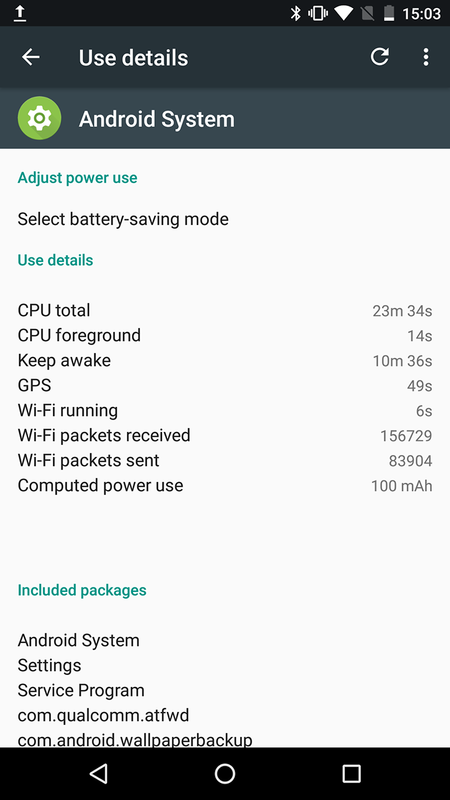 Left: Android O where tapping any of these does nothing. Middle: Android N where tapping the items reveals the details screen seen on the Right. This may be a bug or an unintended omission - if memory serves me right, we have seen similar features disappear momentarily in developer previews only to return in the next release, so it wouldn't be weird to see it come back later. But it could also be a real change in Android O, in which case, O... well.